Karen Clark & Company, independent experts in catastrophe risk, catastrophe models and catastrophe risk management, has released its third annual report on the performance of near term hurricane models — renewing criticism of the standard model used by Bermuda re/insurers. The report finds the models, designed to project insured losses in the United States from Atlantic hurricanes for the 2006 through 2010 seasons, have significantly overestimated losses for this cumulative five-year period. The company’s prior reports found the same for the 2006 through 2008, and 2006 through 2009 seasons. Near term models were introduced by the three major catastrophe modelers — AIR Worldwide (AIR), EQECAT and Risk Management Solutions (RMS) in 2006, following the destructive and costly 2004 and 2005 hurricane seasons. Each of the companies initially projected insured loss levels at least 35 percent above the long-term average for the period 2006 through 2010. AIR lowered its figure to approximately 16 percent in 2007. EQECAT has made only minor adjustments to its original estimate of loss increases of between 35 and 37 percent. RMS introduced modifications to its model in 2009, but still predicted losses 25 percent above the long-term average. The RMS model remains the benchmark standard used in Bermuda. Recently a Florida newspaper reported scientists who help develop the California-based company’s hurricane computer modelling no longer have confidence in its accuracy. “Today, two of the four scientists present that day no longer support the hurricane estimates they helped generate,” said Sarasota’s “Herald-Tribune”. “Neither do two other scientists involved in later revisions. One says that monkeys could do as well. The same newspaper said an upgraded version of the RMS model being released this spring will result in even higher insurance premiums for Florida business and home owners — and even higher profits for Bermuda-based re/insurers. Karen Clark says asuming long-term average annual insured hurricane losses of $10 billion per year, these percentages translate into cumulative insured losses for 2006 through 2010 of $60.4 billion, $68.2 billion and $67.2 billion respectively, for the AIR, EQECAT and RMS models. The actual cumulative losses were only $15.2 billion, far lower than the model predictions, and less than one third of the long-term cumulative average of $50 billion. 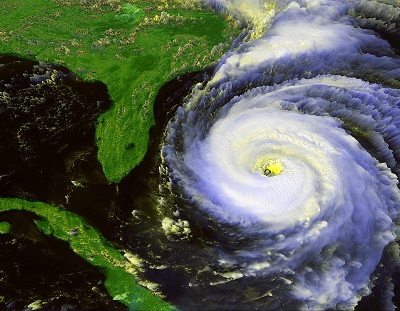 No hurricanes made landfall in the United States during the 2010 season, and consequently US insured property losses were minimal. This is in spite of the fact the 2010 season was one of the busiest on record, with 19 named storms in the Atlantic, of which 12 became hurricanes and five became major hurricanes of Category 3 or higher. The fact there were no 2010 landfalls is related to the Hurricane Frequency Paradox, which was discussed in last year’s report. Some scientists suggest there has been an increase in Atlantic tropical activity, based on growth in the tropical cyclone counts since data was first compiled in the late 19th century. Paradoxically, this apparent increase has not resulted in an increase in hurricane landfalls in the United States. If in fact there are more Atlantic tropical cyclones, then over the past four decades the percentage of storms making landfall has declined to about 60 percent, compared to an average of about 75 percent prior to 1965. Researchers at the National Oceanic and Atmospheric Administration (NOAA) have concluded that the increase in annual storm frequency is in large part attributable to improvements in observational technology leading to the increased detection of tropical storms and hurricanes. This is particularly true for short duration storms originating in the Eastern Atlantic, far removed from potential landfall. Prior to the introduction of satellite technology, such storms were dependent upon oceangoing ships for detection. The 2010 season is a case in point. Three tropical storms, Bonnie, Gaston and Nicole, were short duration storms of two days or less. Lisa, Otto and Shary were hurricanes for less than 24 hours. And Gaston and Lisa each formed far out at sea and remained there during their brief existence. “While most scientific research focuses on the number of storms that develop, insurance companies are most interested in landfalling hurricanes that cause significant losses, so the hurricane frequency paradox is an important issue for the industry,” said Ms Clark. “While landfall activity fluctuates over time, since 1900, seven of 11 decades have been average or below, including every decade since 1950. Despite the active 2004 and 2005 seasons, and the enormous losses from Hurricane Katrina, the first decade of the 21st century was average in terms of landfalls and insured losses in the United States. Boston-based Karen Clark & Company provides software products and consulting services that help insurance companies evaluate and improve their exposure data processes, to better understand catastrophe risk, and to more effectively utilise models and model results. In exactly the same way Politicians have used supposed global warming to advance their political positions, so have insurers used the dreaded hurricane predictions. It is a known fact that weathermen can’t predict tomorrow with any accuracy. Why then would anyone listen to the same quacks talk about how many named storms there will be in the coming year? The entire thing is a scam and this article proves it. meh.. anyone not making money on this and looks at it from outside can see there is at least a bit of smoke blown up around these..
every year is said to be “the most active hurricane season”, yet every year its not the case. and they say this in January??? please.. weatherman cant predict this weekend..
sure there are estimates, global histories, etc…. but they are wrong more than they are right. However, I suppose the point of insurance though isnt about known risks.. but about unknowns. The models tell you nothing about how many named storms there will be in a given year. The models incorporated sub-models after 2004/2005 to reflect the scientific argument that in the short term we were in a phase of heightened hurricane activity. Hindsight is always 20/20, at the time it was a heated debate, the models introduced the option to include both sides. I don’t know any ins/reins that takes model output at face value for pricing. Most adjust it and some don’t even bother to use it for pricing. Not sure which part of this is a scam, sounds more like an advertising campaign for Karen Clark & Company.